Posted on 30, November 2018 by EuropaWire PR Editors | This entry was posted in Awards, Internet & Online, Norway and tagged careers, Communications, Comprend, IR, Julie Lochner, marketing, Norway, Orkla, PR, website. Bookmark the permalink. The communications firm Comprend has ranked the websites of listed Norwegian companies, and Orkla.com has won first place for the fourth year in a row. OSLO, 30-Nov-2018 — /EuropaWire/ — This is an annual ranking and it is the fourth consecutive year that Orkla’s website has topped the list. “We are very pleased that we have retained our top ranking. 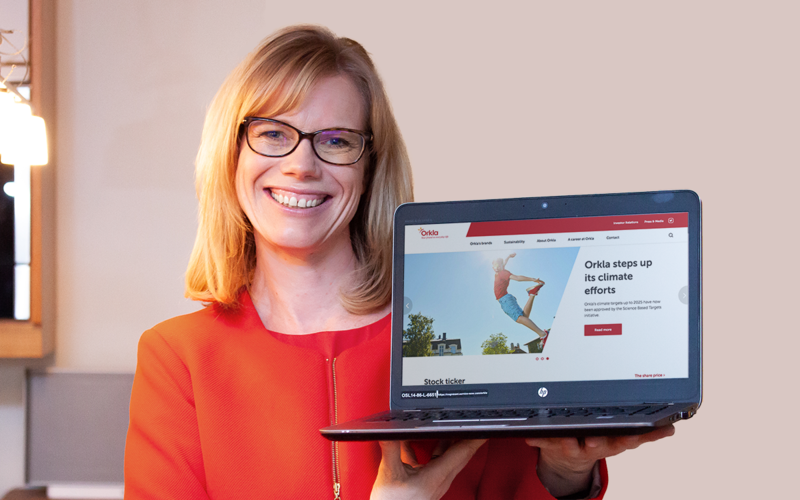 This strong result is recognition of the systematic efforts that have been made over time to continuously improve Orkla’s website,” says Orkla web editor Julie Lochner. In a ranking of the 500 best European companies, Orkla placed 17th this year.